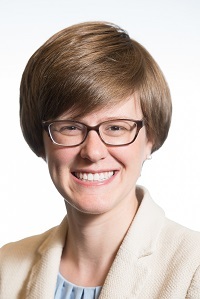 Dr. Susannah Burrows, an atmospheric scientist at Pacific Northwest National Laboratory, recently received a 2018 Ronald L. Brodzinski Early Career Exceptional Achievement Award. The Brodzinski award is named after a former PNNL Laboratory Fellow and nuclear physicist to honor his passion for mentoring early career staff. Burrows was recognized for her leadership in advancing understanding connections between biological systems on land and ocean and their chemistry, and physical climate processes in the atmosphere. For more than a decade, her research has focused on the processes controlling atmospheric particle sources and their impacts on the formation and freezing of cloud droplets, and has played a critical role in defining new research directions. Burrows earned her PhD in meteorology from Johannes Gutenberg University of Mainz (Germany), and joined PNNL as a research scientist in 2013. Among other notable honors, she was a National Science Foundation Graduate Research Fellow from 2006-2009, and received a Department of Energy Early Career Research Program Award in June 2018. She is a member of the American Geophysical Union and American Meteorological Society, and is active in the national Science Olympiad organization for youth.